Dedicate 30 minutes to an hour each day to engagement. Whether this is first thing in the morning or evening, make engaging with others’ content and profiles part of your daily routine. It’s hard to expect others to engage with your content if you don’t engage with theirs. It’s called social media for a reason. You have to be social for it to work. 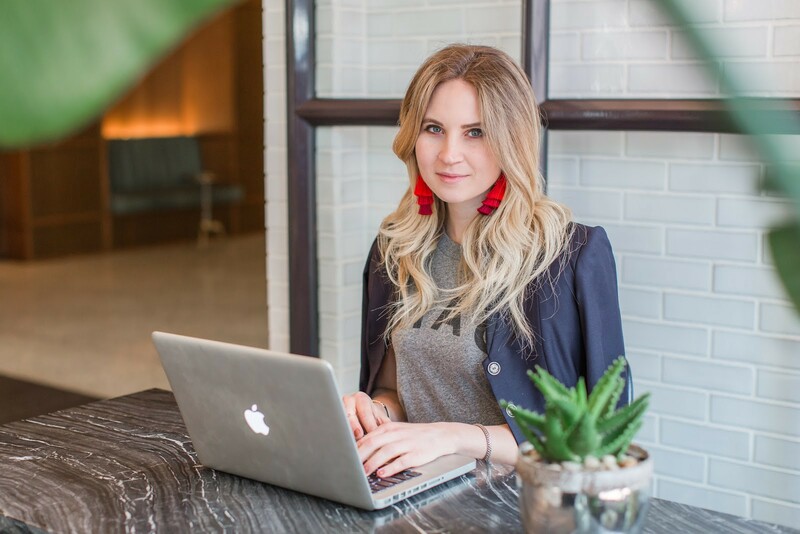 I had the pleasure of interviewing Katelyn McCullough, who is the co-founder of Elwynn + Cass, which is a beauty concierge service with a focus on luxury beauty planning. She graduated with a BA in International Business from the University of San Diego. She lives in San Diego, CA, but works for clients all across the nation and around the world. Of course, my pleasure, thank you for having me! The original idea for Elwynn + Cass started when I was growing up. My dad is an attorney and would have clients that had special events/galas that my mother and I wanted to get our hair and makeup professionally done for. We found the process of hair and makeup and finding artists that are well suited to your needs to be overwhelming. It could take hours to go through google searches alone and even then you don’t know if someone is reliable, does great quality, is professional, etc. We found so many aspects of booking hair and makeup to be impersonal and time consuming, that we wanted a solution to these issues and to curate an experience that we ourselves wanted. Someone to make the whole process easier and stress free, so we could just enjoy the experience, and we realized that others wanted this as well. About 6 months after I graduated from the University of San Diego, we launched Elwynn + Cass. Social media marketing is all about marketing and selling yourself. Marketing your business, your brand, your personality, etc. I use social media every single day to not only grow my business, but to build trust and rapport with my followers and I’d say it’s working, since in the past year I have grown my business by more than 400% using social media marketing alone. Within 2 days, the rep for Stagecoach got back to me and said that they would love to partner and we were part of Stagecoach that year without any cost to us. Just goes to show you that amazing things can happen if you have the guts to ask. It certainly wasn’t funny at the time, but now we can look back on it and laugh. In the beginning of the business, we got approached about setting up hair and makeup for a charity fashion show in La Jolla, CA. We are big proponents of doing some work for free to get experience, get recognition, etc. but you want to have it in writing what the details of your trade will be. For this event, we were told it would be 10 ladies for hair and makeup for the fashion show. As the event went on, the number changed from 10 ladies to 25 as the promoter just kept telling people they could get their hair and makeup done. It was our mistake to not get the full details in writing, as we weren’t given compensation. It was a lot of product, additional time and stress. We still do charity work and trade, but now we have it in writing what the details are. Whether this is in a contract or in an email. You just want to have it in writing that way you can refer to this if things happen to change last minute. It covers your bases and enables you to refuse additional work if proposed last minute. Instagram has been the best by far for me. I remember the first time that I got a referral from another vendor, without having met them in person, solely because I interacted with them and left them genuine comments on Instagram. It floored me that someone who I had never met could feel that trust simply because I cared. Just goes to show you that when you care about someone and their successes, life has a way of returning the favor. #1: Dedicate 30 minutes to an hour each day to engagement. Whether this is first thing in the morning or evening, make engaging with others’ content and profiles part of your daily routine. It’s hard to expect others to engage with your content if you don’t engage with theirs. It’s called social media for a reason. You have to be social for it to work. I do this every single day (even as part of my daily engagement). I consistently comment on people’s stories and love seeing what they are doing with their lives. Think of it like texting. Rather than texting your friends and colleagues what they are up to you, you now have an opportunity to see what they are doing with their lives and feeling part of it. I have gotten clients and referrals from other vendors simply because I have engaged on their stories and then they send me a message that they have a client for me. It’s worth the time. People like to feel they are a person and not just a number. If you reach out to someone on Instagram via DM with a pitch or asking to meet up, be sure to personalize your message. Find something about them that you have in common or that you admire about them and put that into your message. The more sincere you are in your message, the more likely someone will take you up on your offer. I often ask the vendors I admire to meet for coffee or lunch, because I genuinely want to get to know them as people and not just their work. If we end up working together great, but that is not my intent. My intent is to connect with them on a personal level and go from there. If you treat people like a transaction or like a pushy salesperson they will ignore you or refuse your offers. If you use certain hashtags on your photos (i.e “thatsdarling”, “lasvegasweddingplanner”, etc.) you should also follow them and click on them to see who else is using those hashtags. More than likely the people who are using the same hashtags are people you may want to connect with. Within your daily allotment of engagement, search the hashtags you use and see what the top posts are. These are the people you more than likely want to fully engage with and dedicate time to getting to know and creating a rapport. I always pay attention to my own tendencies when going through Instagram. I almost always go to Instagram stories first, rather than scrolling through my feed. I will usually start skipping videos in someone’s stories if there are too many talking ones in a row or there is an onslaught of stories in general (i.e. more than 10). Figure out what you are not a fan of and more than likely others feel the same way. This can help you in determining how to best bring value to your followers. Bonus: Ask your followers using the polls and questions in stories, or on one of your posts itself, what they like to see or would like to see content wise. You want to bring value to your followers, so this is the easiest way of getting to know what they like and find valuable from you. Anyone who is watching your stories or liking your photos, go back through and see who they are. I will routinely (at least once a day), go through my stories, see how many people have viewed and then systematically go through each one of their profiles, liking and commenting on photos and stories. It is painstaking I know, but this is another aspect in which you can show someone that you actually care about them and their business and thus build trust. Plus if you do this consistently (not necessarily everyday), you will stay front of mind to these vendors and they will think of you when they are in need. I am more simplistic in this aspect and genuinely would love to create a movement in which people are unafraid to try something or to ask. I am a firm believer in that the worst anyone will ever say is no, and that it isn’t that bad. Every no will bring you closer to the ‘yes’ you are meant for and there is no reason to get upset about a rejection. We all get rejected, it’s part of life, but how you respond to these rejections is what matters. Oh this is a difficult question! I’d have to say Gary Vaynerchuk, Guy Raz, or Richard Branson… If any of these individuals showed up at my door or invited me to breakfast or lunch, I wouldn’t say no.